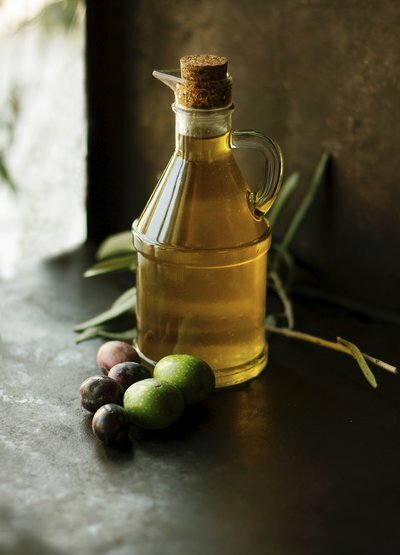 Are Vegetable Oils Healthy For Me? Most people are not aware of this, but vegetable oils were not originally called vegetable oils. They were originally called seed oils. In order for a person to be able to consume vegetable oils, they all have to be chemically extracted from grain, seeds, or beans. They were given name “vegetable oil” because the word “vegetable” appeared to be healthier when marketing the products (“seed oil, “grain oil”, and “bean oil” just don’t sound as healthy in marketing!). They are literally industrial oils, and were used only as such prior to being utilized in foods beginning in the early 1900’s. Things like animal fats/lard/tallow, fish oil, coconut oil, olive oil, and avocado oil do not have to be chemically extracted to be obtained and consumed. Hence, they have been consumed for centuries. One of the issues with chemically extracted vegetable oils is that they go rancid more easily because they are in a liquid state at room temperature. This is why in human history, they were not used as part of the diet. In more modern times, there was a solution to oils going rancid rapidly. This process was first discovered by a German scientist. Proctor & Gamble learned of this, and filed for 2 patents in 1908 in America. In 1911 they came out with the first hydrogenated oil food product. This product would later be called Crisco. Hydrogenation is a process where hydrogen is added to the oils and changes the molecular structure. Depending on the amount of hydrogenation that occurs, the more solid the oil becomes. This obviously extended shelf life of products, which increased profits. It also produced what are called trans fats. Most of the public now knows about trans fats. In the mid 2000’s, the USDA began requiring food manufactures to label the amount of trans fats in products because of the known health risks. The largest health risk is that it creates increased inflammation in the body, which is a primary precursor to chronic diseases if sustained chronically. This is also why there is a direct correlation to increase in heart disease with trans fats. Even with the general public knowing more about them, they are still in numerous packaged foods. When you look at ingredients lists, look for “hydrogenated ____ oil” or “trans fats”. The unfortunate thing is that the USDA allows packaging to claim “0 grams trans fats” when there is .5 or less grams per serving. Food manufacturers then began to reduce the labeled serving size to stay within the requirements. They unfortunately many times, did not alter the amount of trans fats in the product. So many in the public are still unknowingly consuming these unhealthy fats because they read “0 grams trans fats” on the packaging. In addition to the trans fats and their ill health effects, scientists state there are about 50 other chemicals that are produced when vegetable oils are hydrogenated and heated. So there is potential for further ill health effects that we are not fully aware of yet. Vegetable oils are also chalked full of what are called Omega 6 Fatty Acids. Think of Omega 6’s as pro-inflammatory. Animal fats/lard/tallow, fish, avocados, olive oil, coconut oil and tree nuts (particularly walnuts and almonds) are chalked full of Omega 3 Fatty Acids. Think of Omega 3’s as anti-inflammatory. The most important aspect, according to the research, is the ratio of Omega 3’s to Omega 6’s. In the human body the Omega 3 to Omega 6 ratio should be 1:1, up to 1:4, for optimal human health. It has been shown that those who have a ratio of 1:10 or higher will have chronic diseases. Chronic diseases like heart disease, diabetes, cancer, strokes, obesity, gastrointestinal disturbances, increased pain levels, and the list goes on and on. Unfortunately, most Americans have a ratio of 1:15, to 1:50. The majority of Americans consume so many more Omega 6 Fatty Acids than Omega 3 Fatty Acids, their body is literally in a chronically inflamed state. And the most recent research is showing that the aforementioned chronic diseases have a large connection/caused by chronic long term inflammation in the body. This is why the associated increase in cigarette smoking (which causes inflammation in the body) lead to increase rates in heart disease in the 1940’s and 50’s. Once the public was told that they should eat less saturated fats, and increase carbohydrates, the rates of heart disease and cancer continued to rise. Both of these lead to increased inflammation systemically in the body. Once more vegetable oils were beginning to be used in the American diet in the 1970’s, this too lead to more inflammation in the body, and lead to more heart disease and cancer rates. And the trend has continued. In the 1990’s genetically modified organisms (GMO’s) were first introduced to our food supply. This too lead to increased inflammation in an individual’s intestinal tract and body. Since then, there has been a direct correlation of increase in disease rates of the intestinal tract specifically. Diseases like Celiac’s, Crohn’s, Intestinal Bowel Syndrome, diverticulitis, GERD, and gluten sensitivities to name a few. Just think, 10 years ago did you ever see a gluten free menu, or hear of gluten free food items? The plethora of Omega 6’s we now consume as a nation is part of the reason for this. Also, did you hear of near as many children having food allergies of all kinds? There is a reason for this, and it’s not simply bad genes. Remember, scientist agree that genes do not change for 10,000+ years. Chronic inflammation in the body is one of the underlying issues present with those who have difficulty losing weight. Our Program addresses this, along with several other factors that get over looked. It is one of the many reasons we have had so much success with patients. All in all, you would be wise to stay away from vegetable oils, and stick with eating the list of healthy fats listed above! If you need help losing weight, and getting healthy, please contact us and we can get you set up for a consultation with one of our doctors.